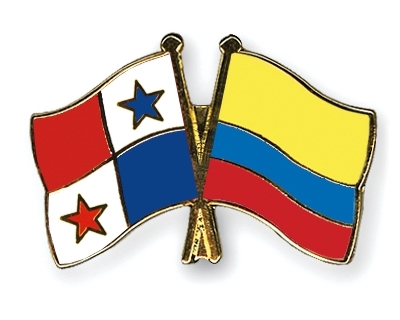 Update: Colombia and Panama reach agreement on information-sharing. This guest blog is written by a political news writer in Colombia, who wishes to remain anonymous. As everywhere else in the world, the disclosure of the Mossack Fonseca documents has been on the front page of all major Colombian papers. However, the close historical links between Colombia and neighbouring Panama, as well as the deeply unequal social structure of the country, make the case of Colombia particularly interesting. Given the unusually close historical, economic and political links between the two countries, it is remarkable that almost nothing of substance has emerged from the Panama papers, from a Colombian perspective. Strong economic growth over the last 15 years, combined with the status of a middle-income emerging country and a likely peace agreement with the Marxist guerrilla of the FARC (and possibly later with the other remaining guerrilla of the ELN (National Liberation Army) have turned Colombia into a new “El Dorado” for some foreign investors. Though very dependent on commodities exports, the country has managed to resist the global downturn in commodities and oil prices. It remains an island of relative prosperity in an economically downbeat Latin America. Panama hosts an estimated 50,000 Colombian shell companies. In the first days of the scandal, the media announced a small number of Colombian accounts among the data leak: 850. Publicly, however, the names of only 12 people were given – and then nothing more happened. Colombia has always been a deeply unequal country with weak state control in broad parts of its territory and a violent history of civil wars and guerrillas. Yet it has always been formally a democracy. Its 50-year-long and very complex internal armed conflict, born in the context of the Cold War, was triggered by land and social inequality, and was later fuelled by drug trafficking. According to a 2015 UN Development Programme report, the country ranks 12th worst in the world in terms of income distribution, and second in this regard (after South Africa) among countries with a significant population. Panama used to be part of Colombia until 1903, when the region decided to break away. The secessionists received a helping hand from the United States, which sought to create a safe haven around the Panama Canal, away from an unstable and war-torn Colombia. Fast forward to the present day, and Colombians now heavily use Panama as a tax haven. It is used by wealthy individuals; by foreign companies eager to escape tax and scrutiny; by Colombian companies eager to disguise their investments in Colombia as originating from abroad (TJN: a phenomenon known as round-tripping); by corrupt Colombian politicians, and by organised crime linked to drug money. Panama has been the locus of the major corruption scandals that shook Colombia in recent years. According to the former head of the Colombian Tax Administration (DIAN), Juan Ricardo Ortega, Panama hosts around 50 000 Colombian shell companies (out of the 600 000 that are registered in that country). In the same interview, he added: “The taxation of individuals in Colombia is a joke. Tax evasion rates could be as high as 90 percent.” He was forced to flee Colombia when threats to his life became unbearable. Ortega estimated that Colombians had stashed around $100 billion in various tax havens, and cites TJN estimates of $14 billion kept in Panama just in bank deposits. Colombian individuals would keep around $20 billion in tax havens. To fully understand the magnitude of the fraud, the figures have to be compared with the wealth of the nation. The figures are mind-boggling. The national budget amounts to around $70 billion and Colombian GDP $266 billion. This means that Colombian money hidden in offshore havens is roughly 140% of the national budget and about 40% of the GDP. The estimated loss of revenues for the Colombian tax system is $6 billion, i.e. 8% of nation´s budget in a country keen to apply its neoliberal fiscal “golden rule”. Tax revenues in Colombia are equivalent to about 15% of GDP (compared with 25-45% among OECD countries). To conclude, it is worth reminding that Colombia is working hard to get full OECD membership and is supposed to fulfil transparency requirements regarding tax, when it comes to its relationships with neighbouring Panama. Colombia put Panama on its tax haven list in October 2014 and later delisted it with the promise of a negotiation on automatic exchange of information. Negotiations are still ongoing, including this 28 April, to strike a deal on this issue. Why were the Panama papers “not such a big deal” in Colombia? Although it is not unique in this respect, Colombia is a good example of a how an oligarchy can pull the strings of political, financial and media power. Colombian newspapers, TVs and radios are all controlled by a few powerful Colombian families and billionaires – members of the very same élites who massively use tax havens such as Panama. It is not surprising, therefore, that the Panama Papers have not generated that much controversy in Colombia. In the first days of the scandal, the media announced a small number of Colombian accounts among the data leak: 850. Publicly, however, the names of only 12 people were given – and then nothing more happened. Some of these names are prominent personalities, such as the two top negotiators of the government with the guerrillas, but their explanation that they complied with the Colombian tax administration (which may be true) were deemed good enough to prevent further questioning. Others names include a right-wing senator hostile to the government-led peace process, a shady businessman and brother-in-law of the former left-wing mayor of Bogota; the head of the Bogota city council; the son of a dead “capo” in the emeralds business, some minor figures from the private sector and regional politics, and forgotten national politicians. Interestingly, the founder of Mossack Fonseca’s branch in Colombia in 2009 used to be a government official in charge of negotiating with the guerrillas. Did anybody say Colombia was the land of “magic realism”?